So many of us got our start in audio by simply being a “warm body” that was willing to help. And what started as “just helping out” turned into a trial-by-fire method of learning how to run live sound and deal with all of the challenges associated with it. Being thrust into a sometimes-chaotic moment and entrusted with delivering great sound at your church can be equal parts exhilarating and terrifying. I’ve been there! The lessons you learn in those moments can really grow your technical skills and confidence behind the mixing console. But what are some things we can do to prepare for great sound before we have to endure the fire of a live event or worship service? A lot of the things we learn through trial and error can be powerful lessons. But we can also form some bad habits if we don’t understand the fundamentals of audio and why something works the way it does. Use the right cables for your equipment on stage. Use good mic placement to capture the best sound possible from the source (vocals / drums). This one is probably the most critical step to ensuring great sound is sent through your console and on through the other sound system components. If you have a bad gain structure, you’ll be battling the quality of your mix all day! It allows you to adjust the initial signal level passing through the input preamp of the mixing console, which is then sent to all other functions of that channel and mix. It provides you the opportunity to set the headroom of your audio signal so that it won’t clip, peak, or distort the console’s input electronics. Be sure to check out this post about how to set your gain properly. Getting the first two things right will go a long way in helping you achieve a better sounding mix, but you’ll be missing out on the real “sweet spot” for your sound if you don’t also address some simple EQ and signal dynamics control. This doesn’t have to get super complicated to start with. Think of EQ as a volume control for specific frequency ranges. Knowing what ranges to turn up and down can really help liven up an instrument, give body to a vocal, or allow a mix to sound cohesive and natural. You need to spend some time practicing with the EQ on your console and train your ears for what to listen for. There is a frequency chart that I use to help me with this. Here are a few more tips for how to use the EQ on your digital console or analog console. Controlling some of the audio dynamics in your mix can also help clean up your sound and tighten up your mix. This is done primarily with Compression. Compression allows you to control the dynamic range of an audio signal. This means that you can limit how loud the instrument or vocal channel can get, and you can set a compression ratio that will determine how much of the signal is compressed or “squashed”. Here are some great tips for how to get started with compression. Just remember, practice with these settings BEFORE applying them to your main mix. 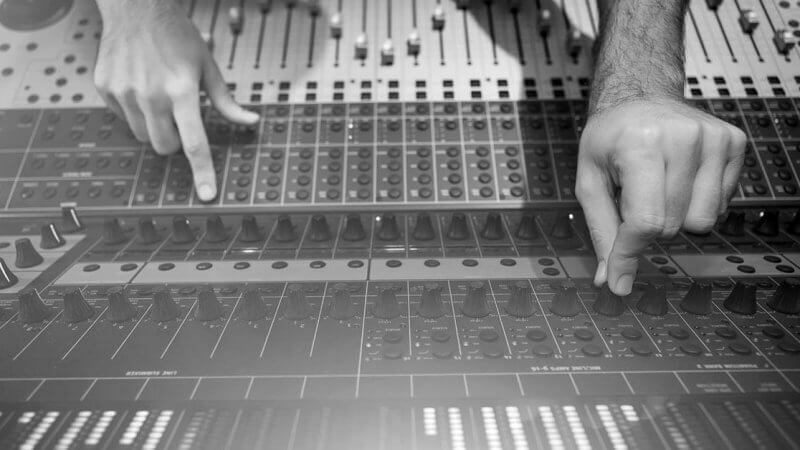 Use your rehearsal and sound check to experiment with the different features on your console. This article was provided by guest contributor James Wasem, author of Great Church Sound: A Guide for the Volunteer. James has been designing, installing, and operating sound systems for 20+ years and he has a passion for helping church sound team volunteers deliver great sound. James Wasem is the author of Great Church Sound: A Guide for the Volunteer. James has been designing, installing, and operating sound systems for 20+ years and he has a passion for helping church sound team volunteers deliver great sound.